You may or not be aware but the government is bringing in new legislation regarding Energy Performance Certificates (EPC’s) from 1st April 2018. Up until now, it is a requirement for all properties in the private rented sector to have an up to date EPC. From the 1st April 2018, the Energy Efficiency Regulations stipulate that the minimum energy performance rating of ‘E’ must apply for all Energy Performance Certificates. Initially, the legislation applies to all new lets and renewals of tenancies from 1st April 2018 and for all existing tenancies from 1st April 2020. It will be unlawful to rent a property which breaches the requirement for a minimum ‘E’ rating, unless there is an applicable exemption. If a rented property has a rating of ‘F’ or ‘G’ after April 1st 2018, it will be deemed as sub-standard and unlawful to let and you as the Landlord would be required to update your property to obtain a minimum ‘E’ rating. Failure to comply can result in penalties of up to £4,000.00 for breaches of the regulations. 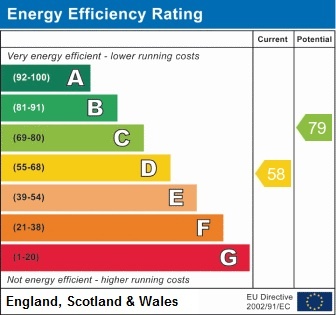 Please be advised that the EPC once carried out is valid for 10 years however, the government may decide to change the minimum rating of ‘E’ at a later date and again we will advise on this issue once we are in receipt of further news.